Cape Town - "Lad, do you have time to chat?" The gentleman has clearly taken a comfortable spot in his chair next to the telephone. He gives me fair warning, like a considerate husband passing the garden fork before the Springboks kick off for a match. This fellow is from the Southern Cape. He often uses the roads that side of the world. Mossel Bay. George. Knysna. Name it, he drives it. We're talking about drivers and heavy vehicles. Taxis speeding during the festive season. Silly figures hiding in bushes who pull you over with authority when you're driving 104 in an 80km/h zone just a few kilometres out of town. I love chatting to this man. As it so happens, locals always have the most knowledge. They observe things and pick up on trends quite quickly. Traffic authorities might just have the golden lapel. The minister might have the title and office furniture. But it's the people of the town who use those roads daily. They know who takes a fat chance and where. READ: Finally! New SA road rules: 20km/h speed-limit reduction? 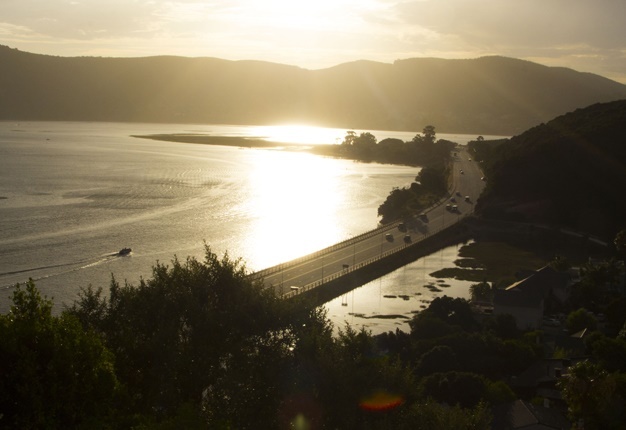 We talk about Knysna first. December festivities are practically here, and you can predict the main road running through the town is going to look like a supermarket on a Saturday. Everyone knows the town needs an alternative road. Every year, during the festive season, traffic comes to a standstill. The street is way too narrow and small to carry the volume of cars. And to make matters worse, there are parallel parking spots all along the roadway. To get in the parking, a motorist needs to stop, aim, hook reverse, and then creep inch by inch until he's halfway into the parking bay and then realise he's not going to make it. Then struggle out, and start again with tail between the legs. In the meantime the flow of traffic increases; with heavy vehicles and buses all coming to a standstill behind the poor driver. The logical solution is to build a bypass road, around the town. But the business folk are a moody bunch, as it will mean less feet through the town. And there you have it. 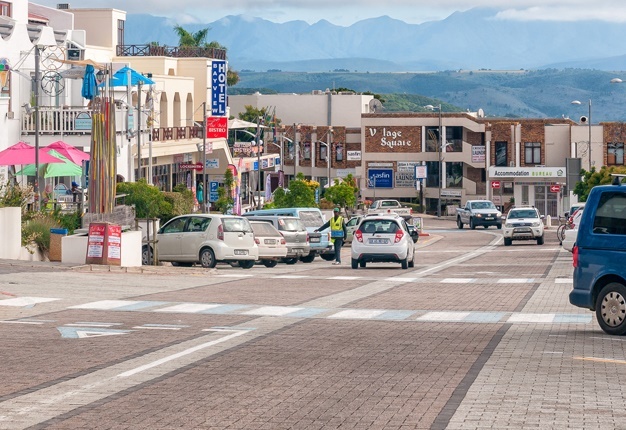 Every year, in Summer, Knysna is one big dead end, and no one is coming up with a solution. The old gentleman and I run through the list of other problems in the area. And, many of the ones he mentions, are relevant to so many other road situations in our country. Three trucks are driving in close proximity. It's difficult to pass. Everyone is in a hurry, everyone becomes impatient. But we persevere. Until a brand new GP-number plate decides: That's it! His guesthouse reservation is at stake. He hooks two gears lower and squeezes the best out of the engineering marvel that hides under the bonnet of his Stuttgart wheels. His wife feels the safety belt tightening and says a quick prayer. In the newspaper the next day, the traffic officer says that a motorist lost control of his car and raced off the side of the road. The government's response, it would seem, is the same every year. They threaten the law abiding citizens, but turn a blind eye to the offenders. Small towns appoint more traffic officials to guard the bushes in 80km/h zones. Cameras measuring your average speed over long distances are erected in record time. But on the road, there where chances are taken and laws are broken, no traffic official is in sight. The summer holidays are upon us. Roads will get busier and with it the media exercise this macabre hobby: how many people died on the road this festive season? Here are my thoughts on this cynical game. Note how many of those deaths are pedestrians (the answer: more than 40%). Also take note of how big an influence making a profit plays in law enforcement. We pull someone over after the offense has been committed, not before. Just like when a blind eye is turned to abalone poaching during the day but bakkies with loads of abalone are being pulled over at night, the profit-making ways of law enforcement does not work in a preventative manner. It's philosophical and mushy. But if these concepts can be turned around, our roads will be much safer. 'Those who have ears to hear let them hear the cries of innocent lives being lost on our roads, through the selfish acts of more than a few drivers,' writes Ronnie Naidoo. 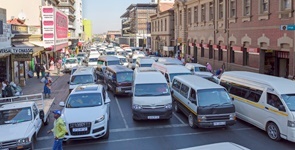 Avoiding traffic, costs, time... StatsSA has revealed the main reasons South Africans choose their modes of transport to travel to and from work.